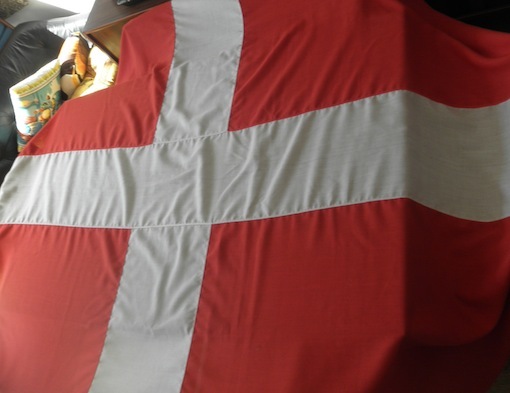 This huge Danish flag would make a great bed cover or wall hanging and will be a great bright impact piece in any room. It has a danish makers label and retains it’s hanging clips. It is app. 2.4 x 1.8 meters circa 1970s.